Ministers are being urged to introduce a raft of policies paid for by a new carbon tax model that would make corporates in the oil and gas sector pay a premium for failing to decarbonise after a new Friends of the Earth report revealed at least £44 billion worth of costs are being caused through environmental damage and healthcare spending. The report, ‘Make the Polluter Pay’, states that the “social cost of carbon emissions” from the sector have reached £1.65trn since 1990 – a figure which accounts for the environmental harm done at all stages of production and use, as well as the health effects of long-term “cumulative” exposure to pollutants. FotE placed the average social cost of carbon over the past 28 years at £122 per tonne. A key recommendation is the introduction of a new carbon tax model which places the financial responsibility on “polluters” rather than “those least able to pay”. FotE claims that money raised through this tax could be used to finance a significant part of the £22bn additional annual funding it estimates is needed for the UK to reach “net-zero” by 2050, including £10bn for home insulation and low-carbon heat; £6bn for walking, cycling and public transport; £2bn in subsidies for electric vehicles (EVs); £1bn for renewable energy and £1bn for habitat restoration and natural carbon sequestration, with the remaining amount accounted for by a local electric bus subsidy; EV charging infrastructure; reforestation and the promotion of low-carbon diets. 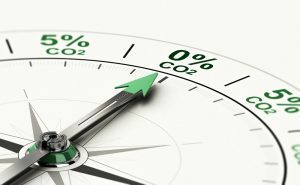 The UK Government’s publication of its annual final greenhouse gas statistics published last week, which chart the nation’s decarbonisation progress between 1990 and 2017, show that the UK’s total greenhouse gas (GHG) emissions were down by 42% in 2017, compared to 1990 levels, with a 37% reduction in absolute carbon emissions over the same period which means that the nation has met its second (2013-2017) carbon budget and is now on track to achieve the third.